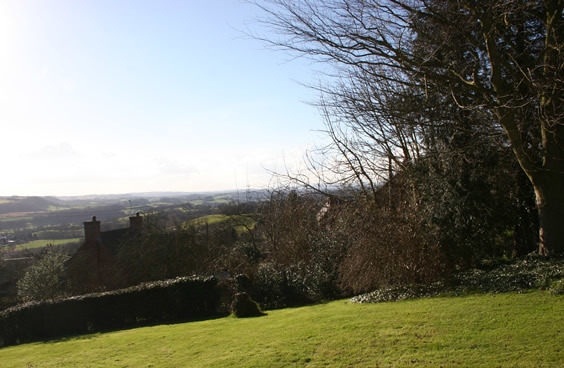 Our B and B is situated in the beautiful Teme Valley with easy access to the Welsh Marches and the county towns of Worcester and Hereford. Locally, are the historic market towns of Ludlow, Leominster, Ledbury, Bromyard and our nearest, Tenbury Wells, just 10 minutes drive away. National Trust and English Heritage properties abound in the area with gardens open to the public during the summer months. For those who enjoy walking there are numerous footpaths locally, with the Worcestershire Way and the majestic Malvern Hills within easy reach. Other tourist attractions are the Severn Valley Railway, The West Midland Safari Park and annual events at the Three Counties showground, such as the RHS Spring and Autumn garden shows. On our doorstep is the famous Shelsley Walsh hill climb which attracts motor enthusiasts from far and wide. We are happy to assist with route planning and dining recommendations during your stay.